Wind power a significant portion of punishing electricity bills, community coalition says. Cancel contracts wherever possible, immediately. The Ontario Ministry of Energy asked for input to its new Long-Term Energy Plan (LTEP) both online and through a series of consultations held throughout the province in October and November. “I was horrified by the comments about the growing energy poverty in this province and the fact that social assistance agencies like the Food Bank association and the United Way are pointing at electricity bills as a major factor,” says Wind Concerns Ontario president, Jane Wilson. While the corporate wind power lobby maintains that wind power is a low-cost option for power, Wind Concerns Ontario’s analysis shows that the real cost is far higher than the industry and government say. Costs such as wasting nuclear and hydro power to accommodate wind power when it shows up in times of low demand are often not included in promotional material. It’s also a myth that the government actually makes money on selling surplus power, WCO says. Ontario electricity customers are bearing costs that they shouldn’t be, the report also says, such as the Low-Income Energy Assistance Program which should properly be funded by the ministry responsible for social assistance, not already over-burdened electricity customers. 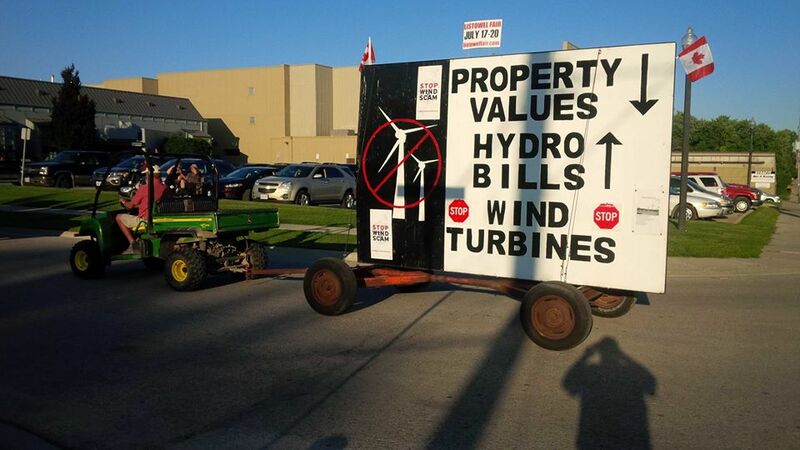 Inequities between urban and rural power customers also need to be addressed: rural Ontario is being penalized by being forced to host wind power projects and then charged more money for electricity. Reduce costs by cancelling contracts for wind turbine projects. The supply of power in Ontario is “robust” and additional capacity is not required. The action affects LRP I and II, FIT 5.0 and projects without a Notice to Proceed. Reduce costs by reviewing contracts for operating projects being paid excessive rates. Assess potential to buy out all contracts to eliminate cost over the medium term, while achieving immediate savings by eliminating the need to dispose of surplus electricity. Reduce costs by removing non-electricity costs from consumer charges, ending ineffective conservation programs and funding for speculative innovation. Reduce costs by reassessing delivery costs and improving customer service. Reduce costs through improved procurement processes. Read the entire report from Wind Concerns Ontario here: wco-ltepresponse. What would be the legal basis for the cancellation of contracts that are already awarded last spring and for contracts award for projects not yet built? Cancelling contracts without a legal justification would probably results in lawsuits that the province could very lose resulting in even more costs. If you read the full, 18-page report, you will see the justification, right down to the sections of the contracts that allow it. Perhaps you could summaries it for us. The justification for cancellation is explicit in the appropriate section but also woven all through the document. The rationale for canceling is also supported by reports from Strategy Policy Economics, and the LTEP submission by the Ontario Society of Professional Engineers. There are a few questions that come to mind. 1). Are these contracts a matter of public record? It is tough to gage exactly what is going on without acces to the contracts. 2) I noticed that some of the rational is based on the assertion that the contract conditions have been breached. How do we know a breach has occurred? Hasvthe government stated this? The wind companies? Highly doubtful they have. 3). Are any of these wind companies (or any of their owners American or Mexican)? If yes, NAFTA Rules apply and the final decision rests with a tribunal not our courts. I do hope that contracts can be cancelled but we have to make sure we don’t make the mess worse. Perhaps check this out for Canadian connections? Ontario is included in this article. And it’s OK to ignore Environment Canada and Natural Resources Canada databases which have historic and current Ontario data/information?